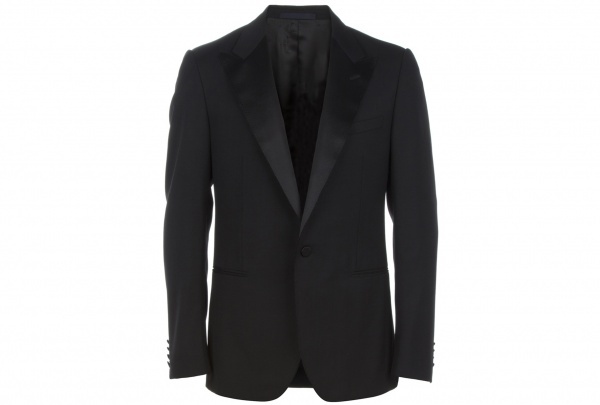 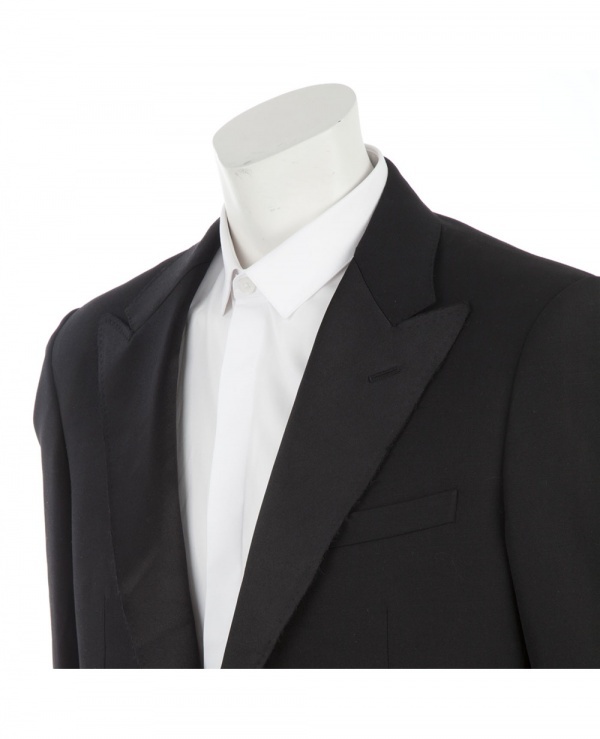 Lanvin has you ready for the evening with this jet black wool smoking suit. 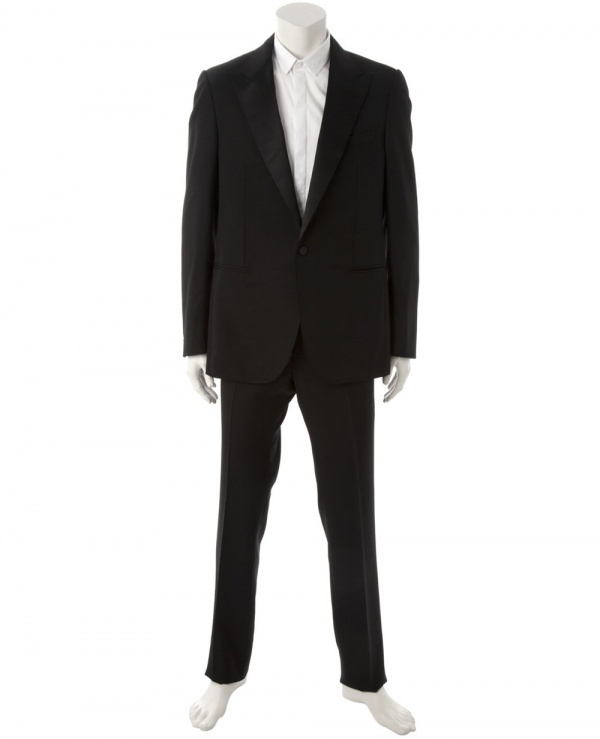 The suit features peaked lapels faced with satin, shank buttons, and single breasted one button construction, going with a traditional evening jacket look. 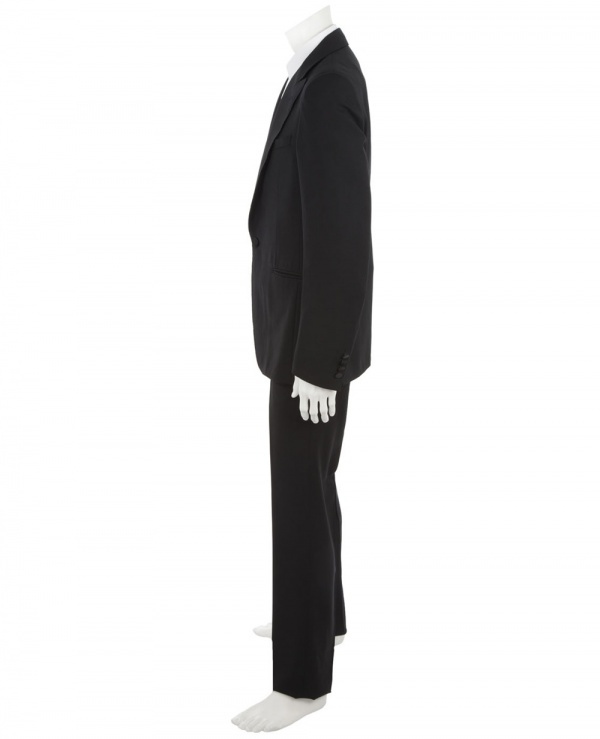 However, the trousers are plain, without the traditional braid covering the outside seam. 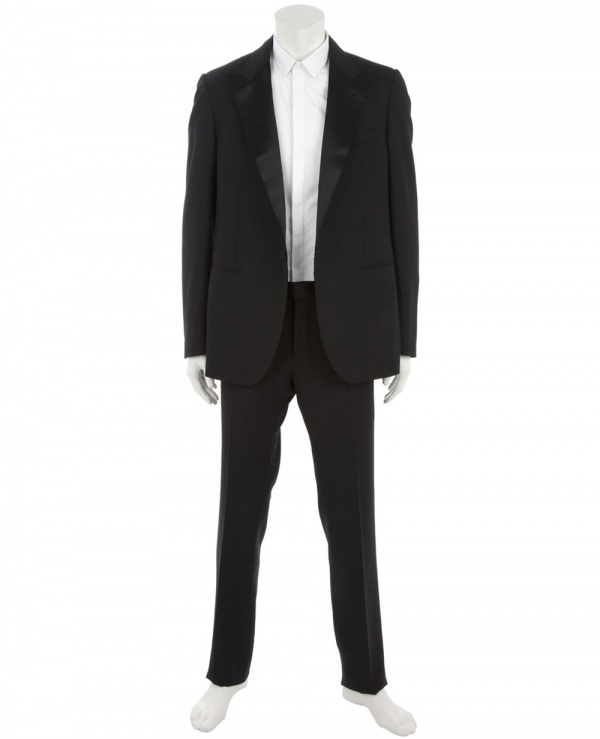 Available at farfetch now.